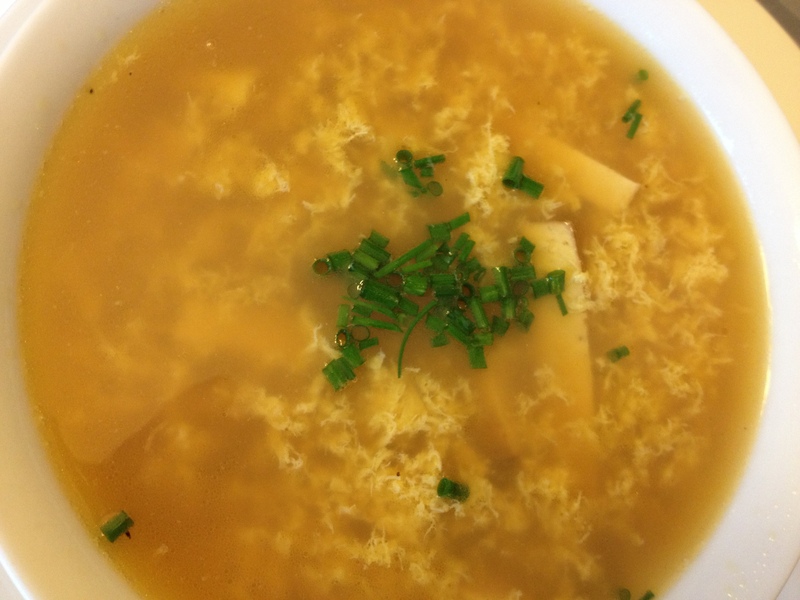 The eggs form beautiful ribbons in this quick Asian-inspired soup. To make a complete dinner, serve alongside rice and stir-fried bok choy. Heat the stock, tofu, soy sauce, and sesame oil to boiling. Reduce to bare simmer. Slowly pour in the eggs in a thin stream, stirring constantly so that they form “ribbons” while they cook in the hot liquid. Remove from heat, garnish with onions, and serve.